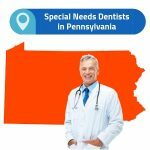 The 8 Best Dental Websites Online Right Now! 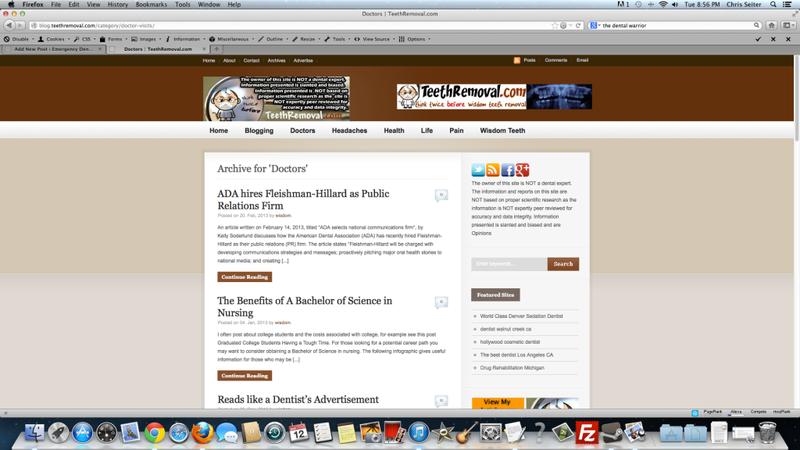 Home / Articles / The 8 Best Dental Websites Online Right Now! A few weeks ago we wrote a post on our blog that got a fair amount of attention . We asked you to vote for the best dentist in the United States, and a lot of you actually did. The post received over 100 votes and was even featured on a couple of dental blogs. Well, since that article was so successful we figured we would write a similar one. Except this time instead of asking you to identify the “best dentist” we want you to vote on what we consider to be the 7 best dental websites. Take a moment away from searching for a 24 hour emergency dentist to check this out! However, before we dive right in and ask you to vote we figured it might be a good idea to explain how we picked the dental websites. First off, we can tell you that we only picked websites that were interesting to us. Sure, we could have done things by the book and found the most “educational” dental websites with pictures telling you exactly how to do thing A or thing B. Instead, we picked websites with a unique view of the dental profession. We looked at the overall design of the site, the content found on the site and the personality behind the site. Check out the winners, voting done! 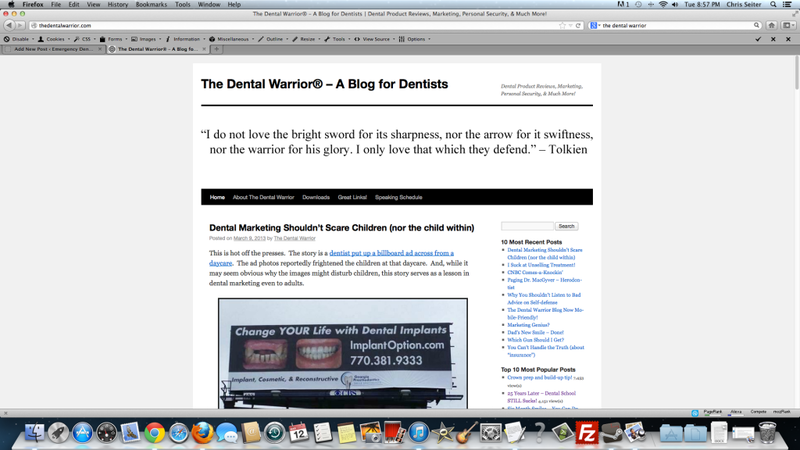 While the blogs name certainly sounds interesting the most impressive thing about “The Dental Warrior” is the man behind the blog. Mike, a dentist since 1988, joined the U.S. Navy right out of dental school which he says further ignited his love for dentistry. His blog touches on all types of subjects including: dental marketing, interesting emails he receives and how much dental school STILL gives him nightmares. From all of us here at Emergency Dentists USA, we love you Mike! Make sure you never change. This is a very unique blog. While most of the blogs on this list are run by dental experts this particular website is not. However, that doesn’t mean that the author hasn’t earned his dental “cred.” Perhaps you are wondering about the name of the blog. After all, Teeth Removal is a strange name for a website in the dental industry. It actually stems from the fact that the creator had a serious issue with headaches 24/7 after he had his wisdom teeth removed. So much in fact, that he uses his blog as a way to educate the general public about his story and urges them to think twice before having their own wisdom teeth removed. 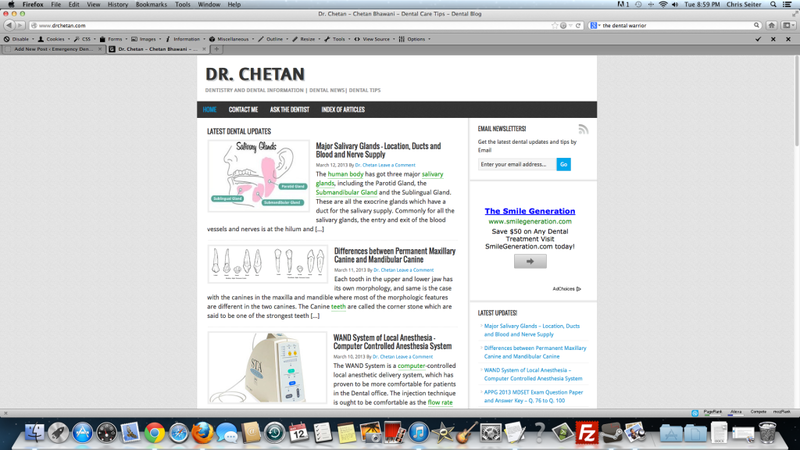 If you are looking for a dental blog that can teach you about the art and keep you informed on whats going on in the dental world then Dr. Chetan’s blog is for you. The thing that really sold us on the blog is the way it was written. Lets be honest for a second here, familiarizing yourself with dental terminology is not exactly the most fun thing to do. However, when you start reading this blog it is written in such a way that it makes complicated things very easy to understand. To us, that is the sign of someone who not only knows how to write effectively but also someone who knows their craft. 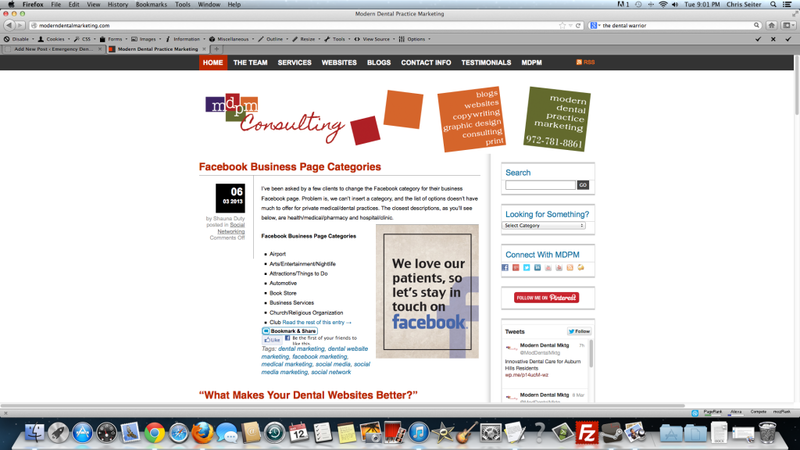 It is not often that we feature an actual dental practice when talking about the best dental websites. 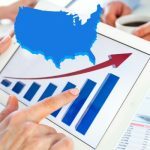 Usually it is a blog written by a dentist or a website teaching other dentists about how to properly market their practice. Well, we actually chose to include Brookside Dental because they are one of the few dental practices that get things right. Not only do they have a beautiful website but they have a rather large following (with over 3,000 Facebook Likes.) 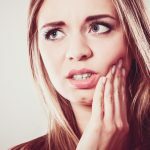 Look, we have done a lot of research for this post and we can tell you that no dental practice that we have encountered has the amount of fans that this one does. 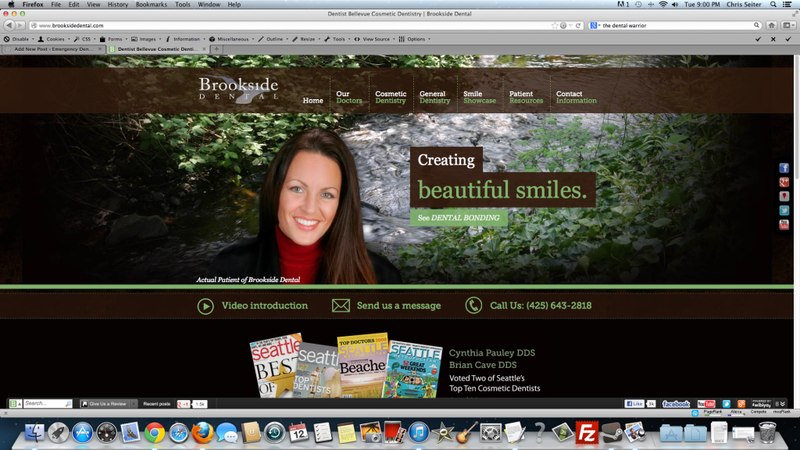 Kudos, Brookside Dental, Kudos! 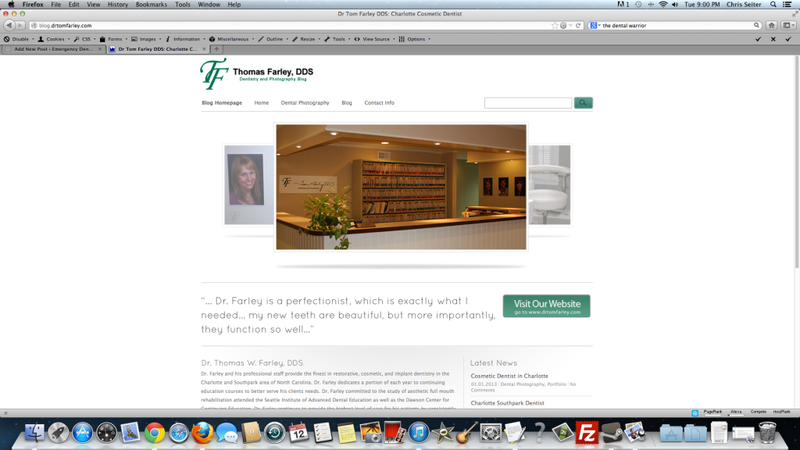 The Dr. Tom Farley website is interesting for a number of reasons. 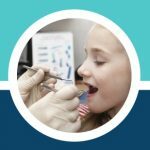 Not only does it have a fascinating blog that will teach you what dentists/orthodontists have done right or wrong but there is also another section of the site dedicated solely to dental photography. The dental photography section has all kinds of interesting photos that even the most casual observer will find interesting. Cool name huh? 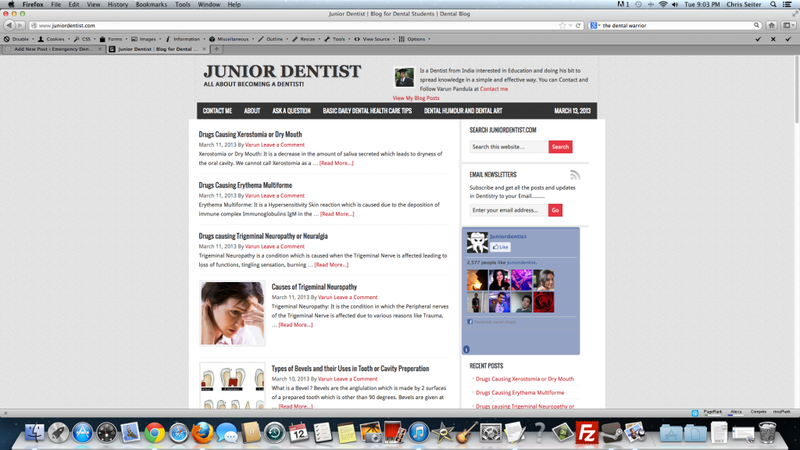 Yes, this website was created by a dentist and is specifically aimed at helping dental students. So, if you are a dental student then this is a must read blog. It is updated on a daily basis so you will always be getting fresh content which can be a problem with other dental websites. Also, it is important to mention that the Junior Dentist has a very cool newsletter and has built up a following with over 2.5k Facebook likes! Dental care matters is actually a late entry into this contest. It was introduced to us via a comment on this page ;). It is arguably one of the most informative and interesting sites when it comes to dental advice. The man behind the website, Dr. Barry Hughes pretty much gives you the best dental advice you can find online for free! He encourages everyone to ask him a question on the site and will respond to you personally. 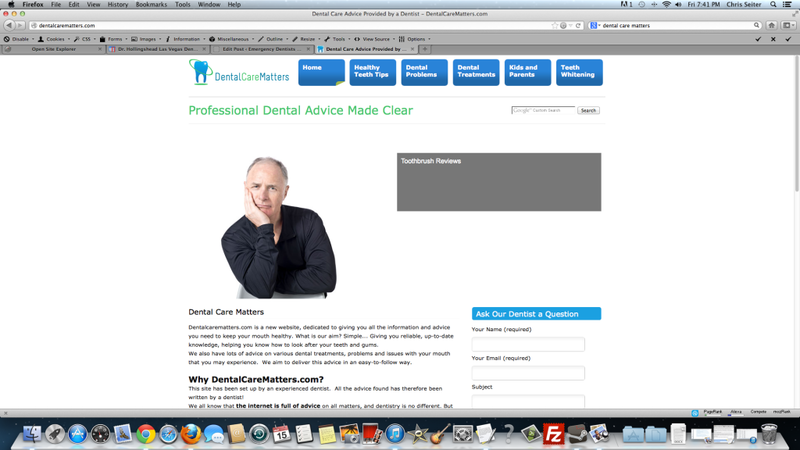 In the end, his website really hits a simple point home, Dental Care Matters! !